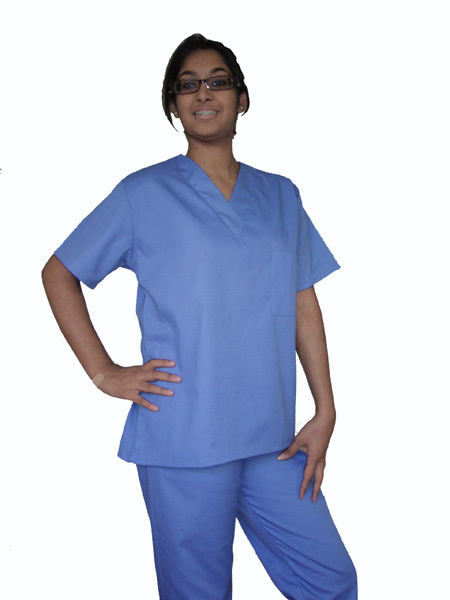 Unisex drawstring pant and Scrub top set. Top is a relaxed fit, V-neck & left chest pocket. Pants are an easy pull on pant w/matching drawstring waist and back pocket. Material is a 65/35 mix (poly/cotton) offering softness, durability, and the ease to wash and wear. All of our scrubs are brand new and come neatly folded and in plastic bags.